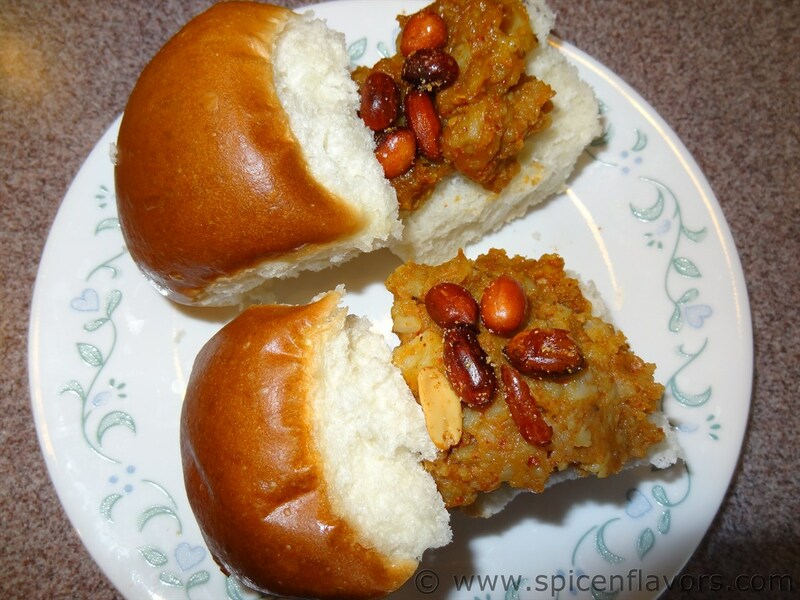 SpiceNFlavors: Kutch Speciality - Dabeli. 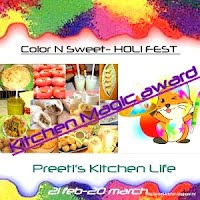 Friends, today I am going to share with you a speciality dish from Kutch. It is called Dabeli. People in Western part of India are familiar with this dish as it is available in Gujarat and major cities of Maharashtra. Others may not be aware of it. However, once you try it, you will enjoy it and will want to have it again. I learnt this dish from my mother in law. She was born and did her schooling in Mandvi, a small town in Kutch. Before I start writing about the dish, I would like to start with saying few things about Kutch. 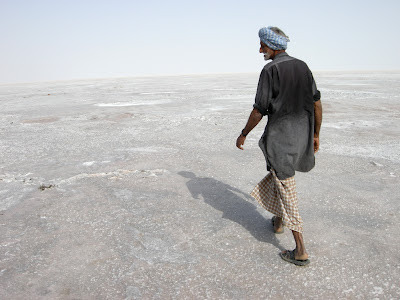 Kutch district is a district of Gujarat state in western India. Covering an area of 45,652 km², it is the largest district of India. Kutch District is surrounded by the Gulf of Kutch and the Arabian Sea in south and west, while northern and eastern parts are surrounded by the Rann of Kutch. To the North of Kutch is the Pakistan border. The Rann of Kutch boasts of beautiful white sand. The language spoken predominantly is Kutchi language, sort of a mix of Gujarati, Sindhi, and Hindi. The place is becoming a popular tourist attraction after Gujarat Government started promoting the natural beauty of the place. Credit also needs to go to the popular ad campaign featuring none other than the Big B - Mr. Amitabh Bachchan. The Rann Utsav, in December, and Kite festival in the month of January have added to the popularity of this place. These festivals are attended by thousands of people from across the world. 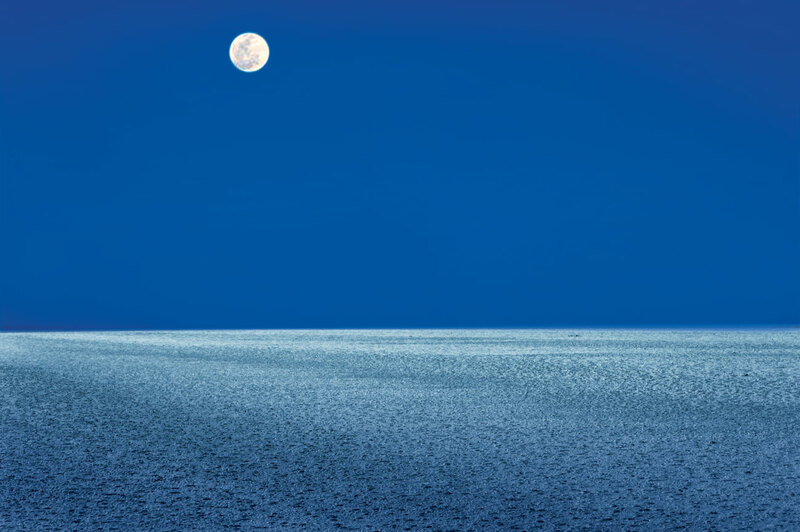 Here are couple of photos of Rann of Kutch. 1.Boil the potatoes till well done,peel and mash the potatoes.Keep aside. 2.In a large skillet, heat oil,add in the peanuts, saute till brown in color, careful not to over brown them. .Remove from oil and keep in a container.Add 1/2 tsp salt,1/2 tsp red chili powder,1/2 tsp cumin powder,sugar to the peanuts. Keep aside. 3.In the same skillet add garlic chutney,red chili powder,tamarind chutney,salt,lemon juice,garam masala,dabeli powder and mix in the potatoes.Stir together for about 5 minutes.Close burner. Enjoy with bread buns and peanuts. Gr8 blog!! You have very good collection of recipes. Thank you for sharing authentic recipes…keep rolling more!! Very creative & informative!! Oh, Dhabeli! Awwww! 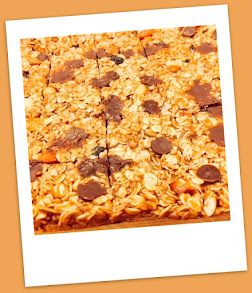 I miss them so much...its been almost a decade since I had one of these delicious treats..mouthwatering! Thanx for linking but the rule says only 2 old posts,please repost any of the last one to qualify..Sorry about that! !